Mark Holmes—a.k.a. DJ MRK—holds court at the Mod Club Theatre. Photo by Trevor Roberts. Article originally published November 16, 2012 by The Grid online (thegridto.com). As the Mod Club Theatre turns 10, Then & Now explores the story of how a ‘60s-retro dance night came to spawn a world-class concert and DJ venue, transforming College Street in the process. History: To share the history of how The Mod Club Theatre came to be, one must first trace College Street’s evolution as a nightlife destination. The stretch of College running west of Bathurst to Dovercourt has, of course, long been a hub for Italian, Portuguese and Latino communities. Restaurants and cafés have dotted the strip for decades—with Café Diplomatico at College and Clinton serving as a landmark spot for over 40 years—but it wasn’t until the 1990s that people began to open a broader array of venues that would entertain into the wee hours. El Convento Rico—originally a haven for Latin gays, lesbians and transgendered people—opened in 1992, bringing dancing and drag shows to College and Crawford. The early-to-mid ’90s also saw the opening of spots including Souz Dal, College Street Bar, Ted’s Collision, and Alex Lifeson’s live music venue The Orbit Room. Intimate café 52 Inc. fed, entertained and politicized on the other side of Bathurst from 1995-2000, while Bar Italia opened on College in 1996 and Ted Footman launched Ted’s Wrecking Yard and Barcode—two floors of live music in one building—in 1997. Musician Dan Kurtz—formerly of The New Deal and currently of Dragonette—knows the area well. “When I moved to Canada as a little kid, I lived at College and Bathurst, and spent most of my childhood in the neighborhood,” he says. “As an adult, I bought a house on Beatrice and renovated it, just a year or two before things really began to heat up on the strip. I did that a couple more times with houses in the neighborhood before I moved out and, during that time, College Street became the hottest place to hang out. It was a great mix of a really authentic, old-school and virtually unchanged Italian and Portuguese neighbourhood by day, and an increasingly broad mix of great and cheesy bars and restaurants at night. “My friends, my band, and most of my family lived in the neighborhood at that time, and it was probably one of the best times of my life,” he adds. In the late ’90s, Kurtz performed at venues like Ted’s, Bar Italia, and Orbit Room while a member of bands including Que Vida. Lava Lounge, at 507 College just west of Palmerston, added much to the strip. 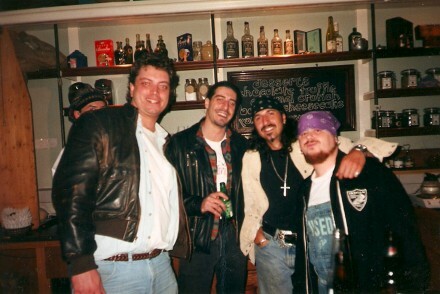 Opened in September 1997 by former Rivoli staffers Greg Bottrell and Rob Eklove (with support from The Rivoli and Queen Mother Café owners Andre Rosenbaum and David Stearn), Lava Lounge was located in the former home of Portuguese family restaurant Cheers. 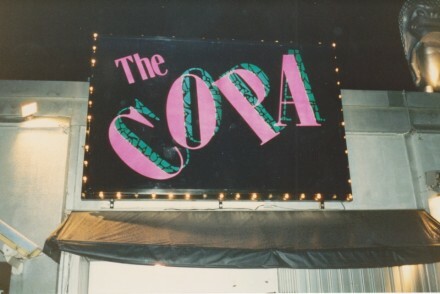 Bottrell and crew transformed it into a resto-lounge, club, and patio licensed for 270 people, making Lava one of the largest spots on College at that time. Their timing was good, as the area soon exploded. Hip new spots dotted the landscape, with venues ranging from the super cool (Ciao Edie) to student-centric (Midtown) to pool halls (Clear Spot, later Andy Poolhall), all featuring DJs. 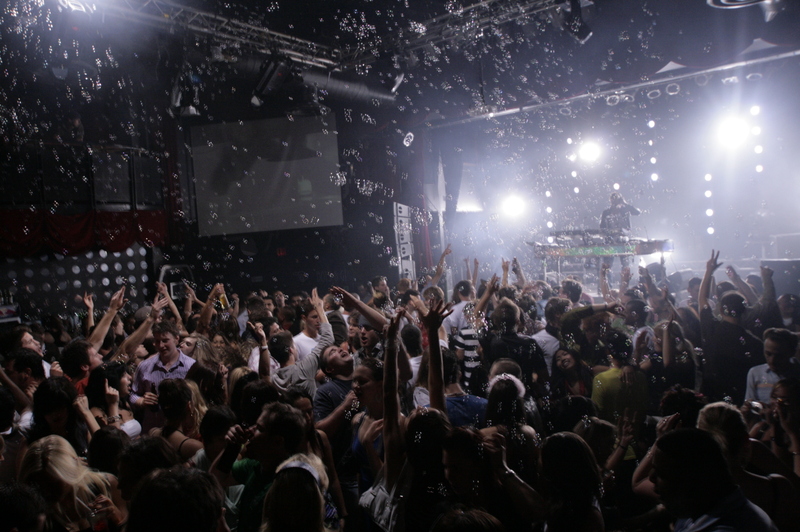 Lava featured both live music and DJs from its start. Resident DJs included the likes of Fish Fry, Mike Tull and Tony Lanz, Shawn MacDonald, and John Kong, while Tuesdays were known for the live soul-jazz of Thomas Reynolds and Shugga, often accompanied by vocalist Divine Earth Essence (now Divine Brown). Bobbi Guy (left) and Mark Holmes, circa 1999. Photo by Edward Pond. In October of 1999, a new Wednesday weekly dubbed Mod Club launched at Lava Lounge. 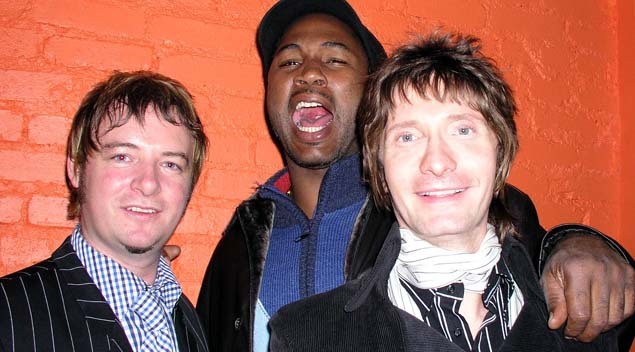 Helmed by friends and British expats Mark Holmes (also known as the vocalist in Platinum Blonde) and Bobbi Guy, the Mod Club nights were inspired by shared obsessions and, partly, the success of Davy Love’s Blow Up Saturdays, then held at The El Mocambo. “I went to the U.K. with my friend Bobbi in 1999 and, on our way back to Toronto, we hatched this plan for something totally different than Blow Up,” says Holmes, at the beginning of a lengthy phone interview. They did the next best thing. Guy designed the Mod Club logo, the pair promoted around town, and soon they were projecting 1960s British imagery while spinning deep collections of Motown, soul, R&B and mod bands in the similarly styled Lava Lounge. 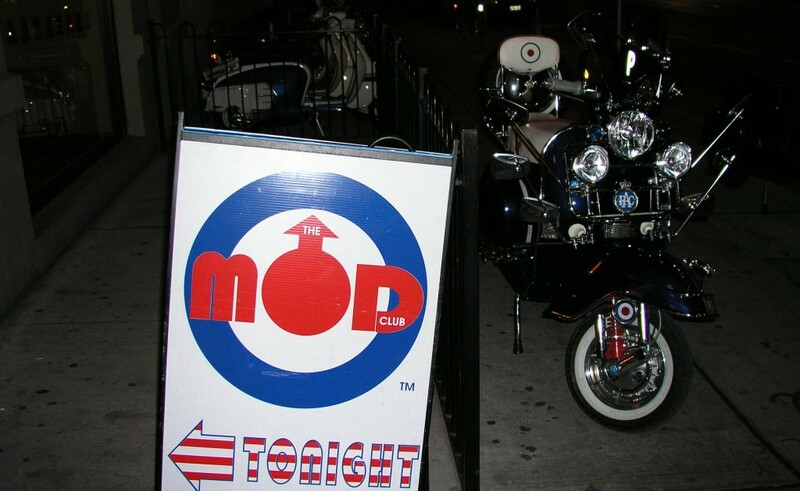 The original Mod Club sign, outside Lava Lounge. Photo courtesy of Mark Holmes. “Basically, you were in a time capsule the moment you walked in,” says Holmes. “I loved every last magical minute of it. The scene inside Mod Club Wednesdays at Lava Lounge. Photo courtesy of Mark Holmes. Mod Club packed Lava every Wednesday until the club was forced to close in spring of 2004. The building it was in would be torn down to make way for the huge href=”http://condos.ca/condominiums/toronto-the-europa-308-palmerston-ave” target=”_blank”>Europa condo building of today. By fall of 2004, Bottrell opened Supermarket in Kensington Market. Guy and Holmes continued there for many months of soul-soaked Mod Club Wednesdays. The first Mod Club go-go dancers at Revival. Photo by Trevor Roberts. 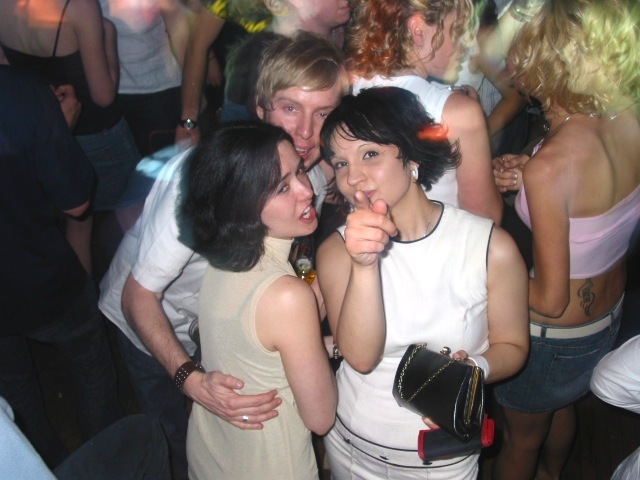 But the Mod Club story also takes us back to College Street, and mirrors its growth. 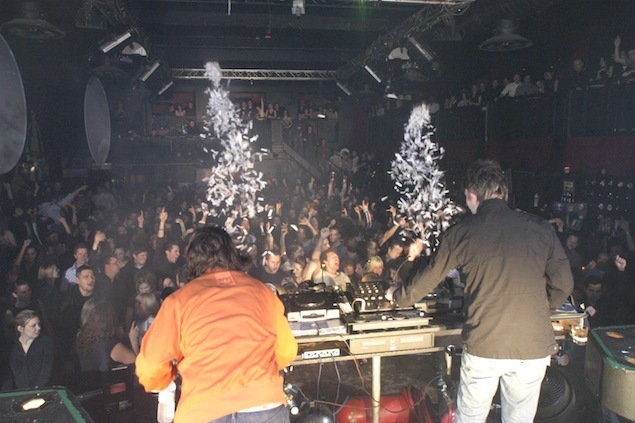 In November 2001, while still holding down Wednesdays at Lava, Guy and Holmes also launched a Saturday Mod Club weekly at newly opened Revival Bar. Opened by Domenic Tedesco and chef-turned-restaurateur Joe Saturnino, Revival is housed in a beautiful building at the corner of College and Shaw that was once a Baptist church, and later a Polish legion hall. Having been a partner in Italian fine-dining restaurant Veni, Vidi, Vici, which also attracted a later night crowd, Saturnino saw the writing on the wall. Revival gave that crowd food, DJs, and live music. 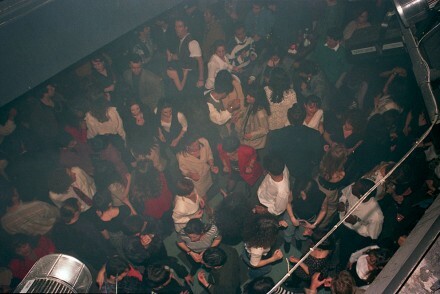 Mod Club Saturdays attracted thousands to College Street and packed Revival for three years. DJs DaSilva and Benny K. Photo by Trevor Roberts. Guy and Holmes spent Saturday afternoons putting up banners, sorting décor, and tweaking sound in anticipation of their capacity crowds. There were mod go-go dancers, confetti cannons, big lighting effects, and live acts that included both locals and touring artists like The Dandy Warhols, who performed an acoustic set. “We made it into a massive rock show,” says Holmes, who DJed alongside Guy and a cast of characters including Boozecan Bob, Taylor & Gedge, Benny K, DJ Da Silva, and Jesse F. Keeler. Guy and Holmes at Revival. Photo by Trevor Roberts. “I think in Mark and Bobbi’s minds, the basement was going to be the part that was more like the Wednesdays, and I know I certainly broke that rule, but within context,” chuckles Jesse F. Keeler during a phone chat. “I’d start playing ska, dub, and old reggae in the last hour. By this time, the Mod Club weeklies were a phenomenon that would soon spawn a now internationally recognized club and concert venue. 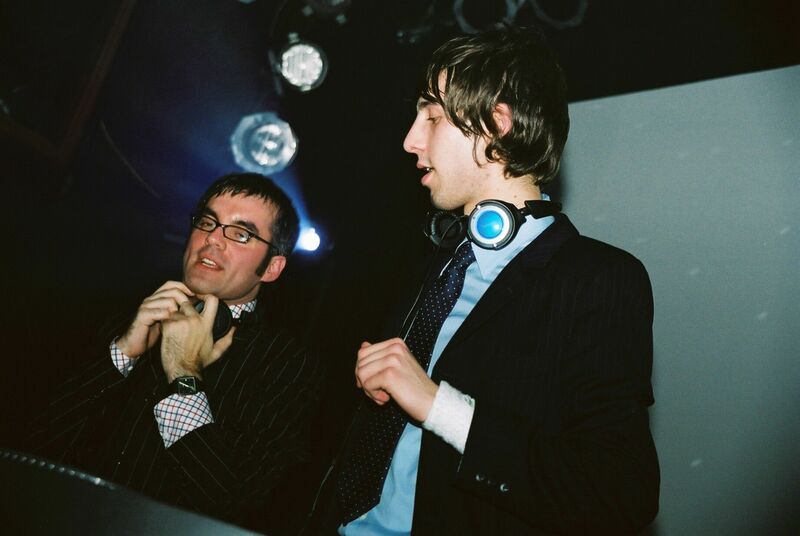 Guy and Holmes DJ the opening night of the Mod Club Theatre, November 2002. Photo by Trevor Roberts. The birth of the Mod Club Theatre: In early 2002, Revival was closed for two weeks because of a liquor-licence infraction. The Mod Club nights would go on to pack both venues on Saturdays for years, with DJs and dancers darting back-and-forth across the street from Corner Pocket to Revival. Early into their run at both venues, Holmes was inspired. Bobbi Guy, boxer Lennox Lewis, and Mark Holmes on opening night. Photo by Trevor Roberts. The Mod Club Theatre officially opened doors in November 2002. Bobbi Guy recalls a fave moment from the first night. Why it’s important: “I think, mainly, we gave club-goers a different option from what was happening elsewhere in the city,” says Guy, a main Saturday resident DJ until early 2010. “People were weary of going to the club district for a good night out. We were in a lot safer area, but were just as deadly on the dancefloor. College Street was a quiet place till we showed up; now look at it. 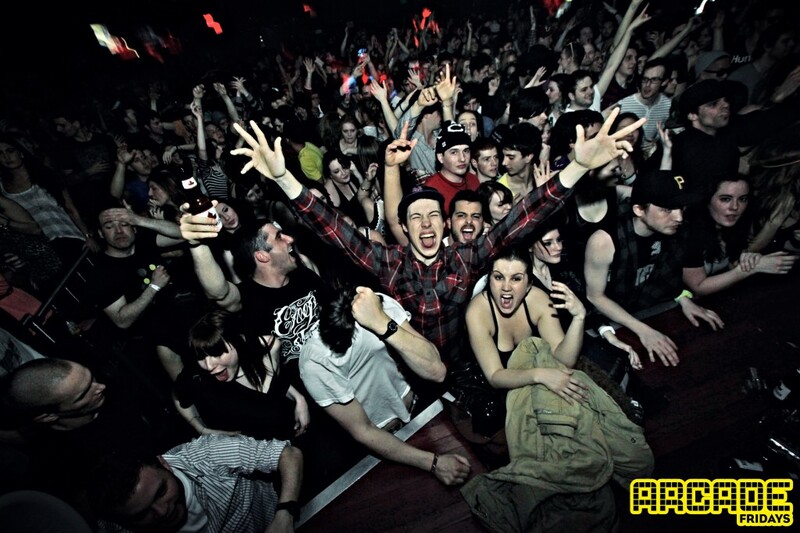 As for the venue itself, Mod Club Theatre brought a professional 700-capacity club and concert space to College Street. Holmes also worked to establish Mod Club Theatre as a concert spot, reaching out to event producers including Against The Grain (now Collective Concerts). 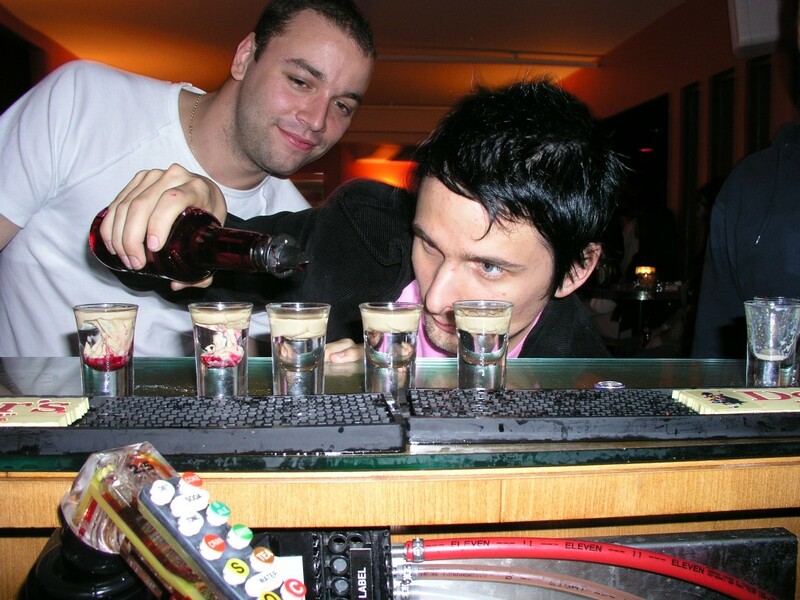 After Muse performed at the club on a Saturday in April 2004, concert bookings poured in. Area restaurants, like neighbours Il Gatto Nero, benefited from the business. Above all, Mod Club Theatre is highly versatile as a venue. “The first time I went to Mod Club Theatre was on a Saturday,” recalls DJ/producer and A.D/D Events co-founder Mario Jukica. “Mark really blew me away with the level of production he was doing, creating an exciting atmosphere that relied heavily on the use of video technology and pyrotechnics. It’s this very versatility—and group of people—that made Mod Club Theatre one of the global hubs for the merger of rock and electro. From 2003 to 2007, Holmes a.k.a. DJ MRK, programmed and played the highly rated Mod Club radio show, broadcast live on 102.1 The Edge, Thursdays from 11 p.m. to 2 a.m. Guy also introduced three new tracks each week. “That’s when the music scene really changed,” says Holmes; “It’s when the whole indie band mixed with electronic music idea moved forward. Necessity is the mother of invention. We were – Bobbi especially – very much in contact with a lot of British DJs who would send him stuff. I had an idea to bring the indie crowd and the dance crowd in to the same place, and I worked on that with quite a few people. That’s how the radio show got started. Then A.D/D came in after that and started solidifying that whole vibe. Then the whole scene exploded. Toronto’s Crystal Castles and MSTRKRFT both formed during this time period, and both played the live-to-air with Holmes. 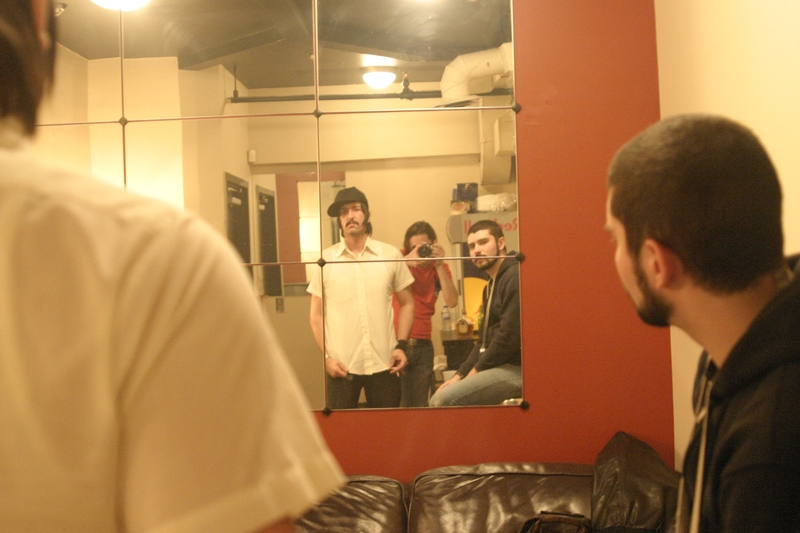 MSTRKRFT backstage at the Mod Club Theatre. Photo by Trevor Roberts. By late 2004, Jukica and Eve Fiorillo were producing parties under the banner of A.D/D at Mod Club Theatre. They booked local DJs including Barbi and Rory Them Finest, and presented themed events like Return To New York, with Arthur Baker, and I Love Neon, with guests including Tiga. A.D/D also had tight ties with influential French electronic label Ed Banger, presenting many of their artists, including at the infamous Daft Punk afterparty of August 2007. 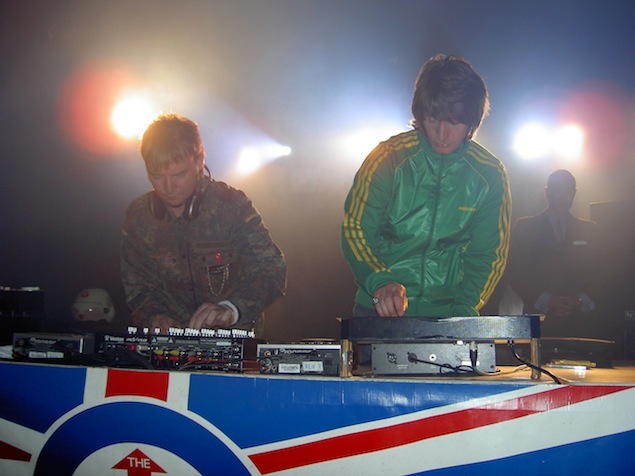 A.D/D would later take their bookings and colourful, post-raver crowd to CiRCA for their Randomland Fridays, but when that concluded in summer 2009, Adam Gill and Embrace stepped in to fill the void by presenting the musically related Arcade Fridays at Mod Club Theatre. Arcade Fridays crowd. Photo by James Drobik. Over Arcade’s two-plus-years, Embrace highlighted locals like Milano, Meech, Poupon, Gingy and Bordello, Andy Ares, St. Mandrew, DJ Medley and Auto Erotique while also presenting weekly international guests. That impressive roster of names includes Simian Mobile Disco, Claude Von Stroke, Zedd, Laidback Luke, Rusko, Toddla T, and Trentemoller, who presented a most incredible live band show in April 2011. Keeler—who has DJed Mod Club multiple times as part of MSTRKRFT—has another favourite from the venue’s Friday night history. Amy Winehouse (centre) with husband Blake Fielder-Civil and Mark Holmes, backstage in 2007. Photo by Trevor Roberts. The New Deal, in fact, staged their high profile 2009 CD release show at the club, and Dragonette has chosen to perform there multiple times. “I feel that with Dragonette in particular, we kind of became legit at our shows at the Mod Club Theatre, at least as performers. We liked how we sounded, and how our shows looked. It felt, I suppose, big. The list of artists who’ve performed at Mod Club Theatre is both impressive and enormous. For electronic music fans, live shows by both Booka Shade and Modeselektor are highly memorable. Amy Winehouse performed two heartrending sold-out shows in May of 2007. K’naan launched his Troubadour CD there in 2009, while The Weeknd made its live debut on the same stage in 2011. 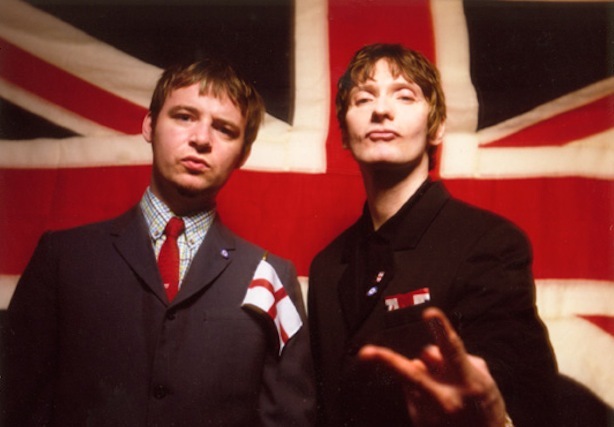 And, of course, dozens of British acts of all musical stripes—from Paul Weller to Kaiser Chiefs to Mike Skinner—have headlined. Embrace, Collective Concerts, Live Nation, and other concert promoters continue to book in shows, making Mod Club’s listings ones to watch. And when it comes to staff, longtime manager Jorge Dias is another frequently credited principal player; he, Prinsloo, and Bruno Sinopoli were also the key figures behind the transformation of the Queen Elizabeth Theatre. 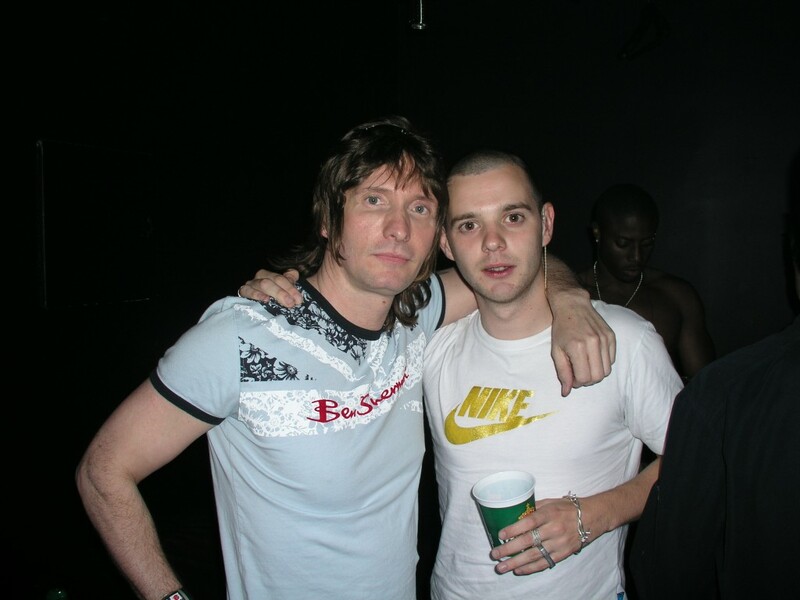 Mark Holmes with Mike Skinner a.k.a. The Streets. Photo by Trevor Roberts. 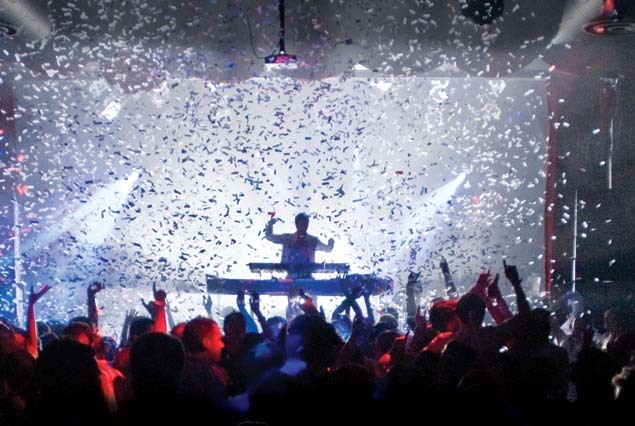 The here & now: The venue now technically known as Virgin Mobile Mod Club, thanks to a 2011 sponsorship deal, celebrates a decade in business this weekend. Many credit the club’s success largely to Holmes. Saturday night at The Mod Club Theatre. Photo Trevor Roberts. As for Saturnino, he appreciates the ties between his venue and Mod Club. “Both places have different identities,” he says, pointing to Revival’s blend of burlesque, bands, and soul and house-heavy sounds. “That such a residential neighbourhood, with small neighbourhood shops, could also have such a first-class venue, with world-class artists playing there on a weekly basis, makes that part of Toronto truly fantastic,” concurs Kurtz. Mod Club’s 10th anniversary party this Saturday (Nov. 17) features guests including Dr. Draw and DJ Jelo, alongside current U.K. Underground Saturday residents MRK and Tigerblood. The Saturday sounds may have changed over the years, but the song remains the same. “The Mod Club means ‘modernist’ and to be a modernist, one must embrace the future, embrace technology, and search for and present the new all the time,” says Holmes, now also busy with the recently reformed Platinum Blonde. Thank you to Adam Gill, Bobbi Guy, Dan Kurtz, Greg Bottrell, Jesse Keeler, Joe Saturnino, Mario Jukica and Mark Holmes. I used to live on Beatrice, and damn near every weekend was spent at the MOD. Living so close was an honor as I could stumble home for an afterparty! I still have solid memories, what I can remember anyway, of the countdown from Italian Job on the big screens and then bubbles and confetti being sprayed everywhere to Blur’s Song 2. It signaled the time to get wild and crazy and enjoy the rest of the night on the dancefloor at the MOD will all the other cool looking kids. And now I’m reminiscing even more by listening to Platinum Blonde’s Alien Shores Album at work. Sick album Mark.